A bill designating the ōpe’ape’a, also known as the Hawaiian hoary bat, as Hawaii’s official state land mammal was signed by Hawaii Governor David Ige on Wednesday. 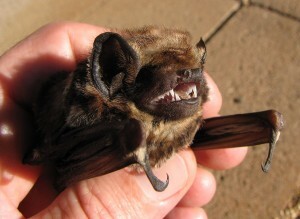 The bill to appoint the bat, which is Hawaii’s only native land mammal, was introduced by Senator Sam Slom some four years ago. A rare subspecies of the hoary bat, it is endemic to the Hawaiian Islands where fossil evidence show it has existed for at least 10,000 years. The ōpe‘ape‘a is listed as an endangered species by both the US Fish and Wildlife Service, and by the state. Deforestation and collision with man-made structures like wind turbines and barbed wire fences pose a threat to the ōpe‘ape‘a population. The ōpe‘ape‘a has joined the pulelehua or Kamehameha butterfly (an insect), nene goose (a bird), humpback whale (a marine mammal), monk seal (a mammal) and humuhumunukunukuapua‘a (a fish) to take its rightful place in the elite club of official Hawaii state animals.